HTTP/2 is real and available today with Akamai. The standard was approved February 2015, and most of the leading browsers already support it. Akamai customers can enable it right now with a few clicks without requiring any changes on the origin infrastructure. 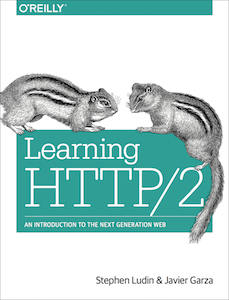 HTTP/2 attempts to solve many of the shortcomings and inflexibilities of HTTP/1.1. You will not need to change your websites or applications to ensure they continue to work properly. Not only will your application code and HTTP APIs continue to work uninterrupted, but your application will also likely perform better and consume fewer resources on both client and server. Encrypting: Applications running over HTTP/2 are likely to experience improvements in performance over secure connections. This is an important consideration for companies contemplating the move to TLS. Optimizing the TCP layer: Applications should be designed with a TCP layer implemented to account for the switch from multiple TCP connections to a single long-lived one, especially when adjusting the congestion window in response to packet loss. Undoing HTTP/1.1 best practices: Many "best practices" associated with applications delivered over HTTP/1.1 (such as domain sharding, image spriting, resource in-lining and concatenation) are not only unnecessary when delivering over HTTP/2, and in some cases may actually cause sub-optimizations. Deciding what and when to push: Applications designed to take advantage of the new server push capabilities in HTTP/2 must be carefully designed to balance performance and utility. Akamai can help and is working hard to address these and additional challenges, including possibly the toughest one: optimizing differently for HTTP/1.1 vs. HTTP/2 connections as browsers and other clients gradually transition over the next several years. It is important to note that Akamai and leading browsers intend to stop supporting SPDY when HTTP/2 is ready to take its place. For questions, please reach out to your Akamai representative, visit the Akamai Community or click here to contact us.